Description New York, New Haven and Hartford (N.Y.N.H.&H.) 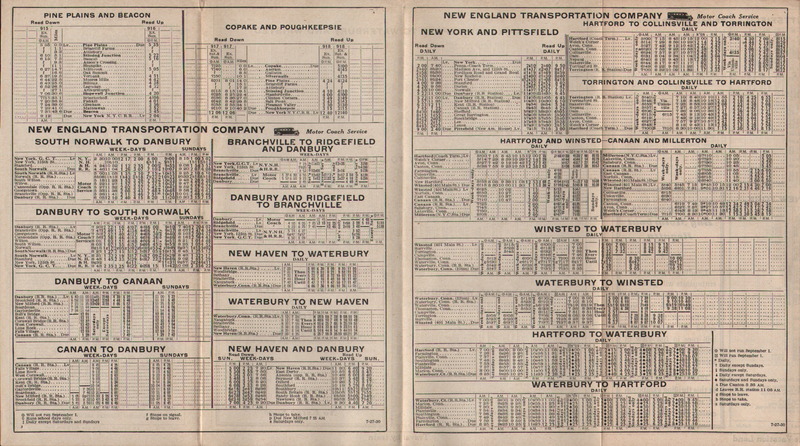 Railroad 1930 Form 227 July 27, 1930 Timetables. 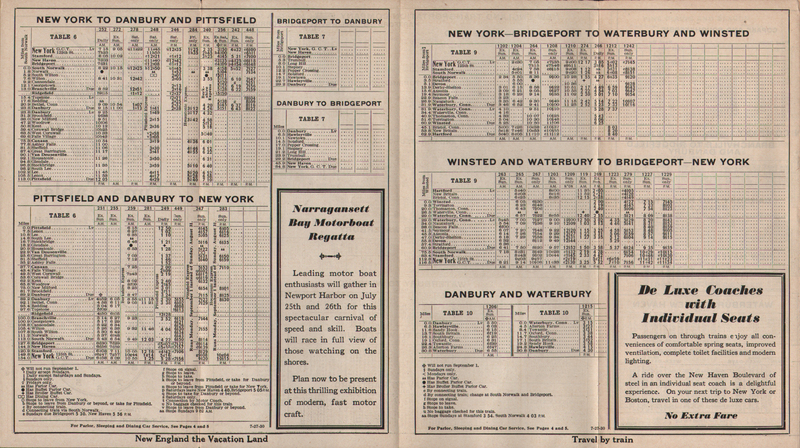 Local/Regional time tables for New York and Danburry and Pisstfield. New York-Bridgeport and Waterbury and Winsted. Bridgeport and Danbury. Danbury and Waterbury. Pine Plains and Beacon. Copake and Poughkeepsie.